‘Earthen Blonde’. 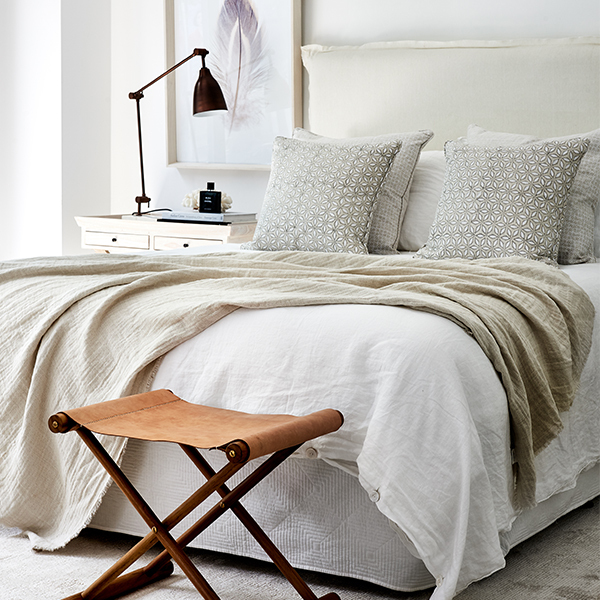 A Bedroom Design Inspired by a Summer in Europe. When it comes to interior design and furniture, we take inspiration from anywhere. From nature to travel, materials and more; the world around is a muse. 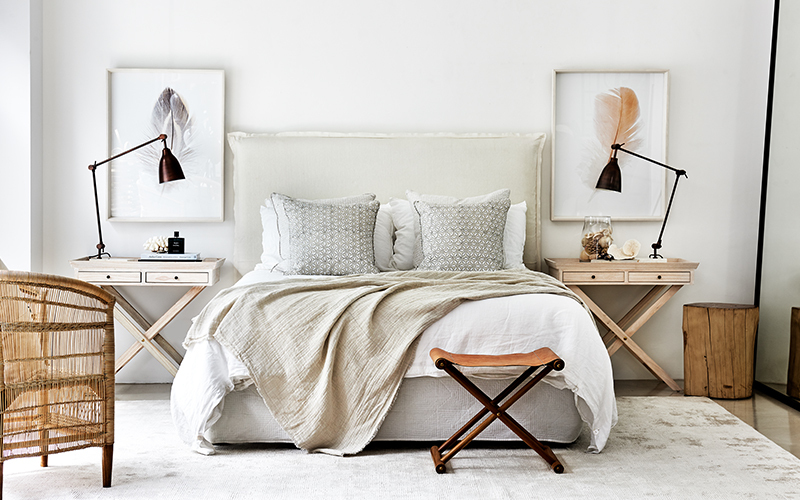 A recent bedroom design of ours was particularly inspired by travel and the natural world of Europe in Summer time. 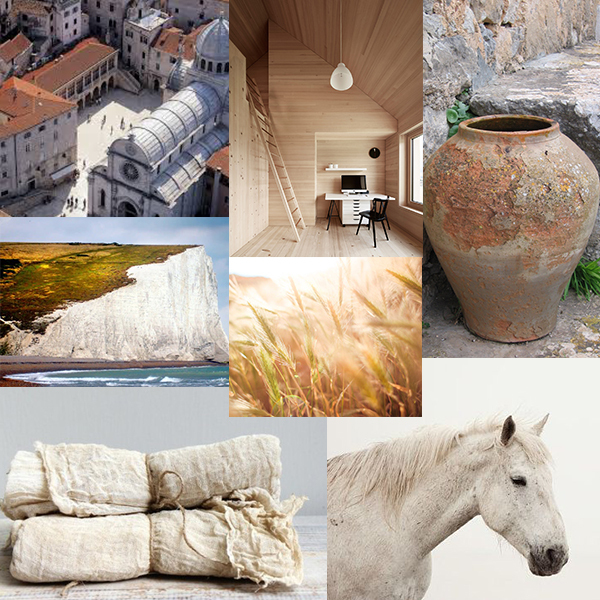 ‘Earthen Blonde’ is a collection of natural European tones, colours and places to create an amazing bedroom filled with light, earthy hues of gold and relaxing textures. We’ve created this room to translate notions of travel through modern furniture in Sydney. The concept for ‘Earthen Blonde’ was the idea of a young traveller in the European summer. The traveller experiences cities, colours, rural fields and coastal scenes absorbing the wonderful natural summer colours. The journey takes them through Mediterranean cities of terra cotta and stone and town squares with beautiful women wearing linen and cotton. The traveller drives past wheat fields, rugged coasts and rests in calming Nordic cabins. The result is an eclectic palette of soft and earthy blonde tones from which to draw memories and inspiration. The result speaks for itself. Soft and saturated golden-blonde tones meld perfectly into the room type. Bedrooms can often feel cramped, cluttered and stuffy – the design brings an incredible lightness to the room and inspires the user to escape to an endless summer. 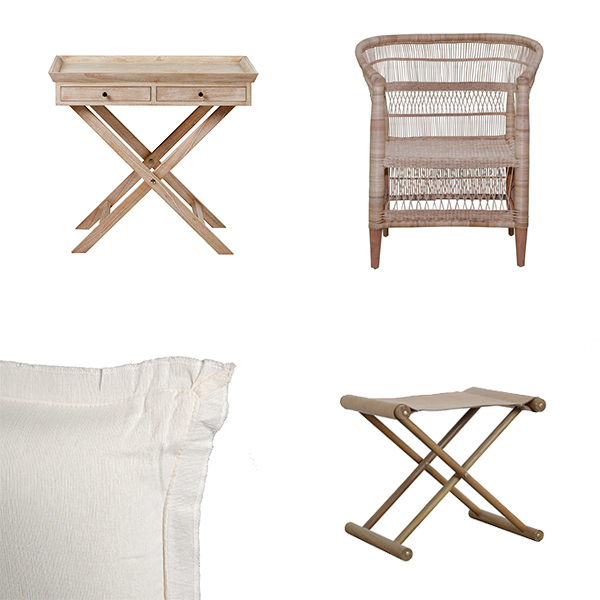 Pictured are some of La Maison’s favourite furniture pieces. The design emanates a timeless style for any age – whether your euro trip was last summer or 20 years ago, with this design, you’ll always feel like it was yesterday and forever. Earthen Blonde was a collaborative design between our Creative director Jo Lebrocque with our in-house stylists and designers. Featured furniture pieces are designed (or replica designs) and manufactured by La Maison.